Remembering the Journey: Judy LaMarsh | Bonnie Reilly Schmidt, Ph.D.
A number of women were instrumental in achieving the gains made by activists in the women’s movement during the 1960s and 70s. Their activism on behalf of women’s rights laid the groundwork for many of the social, economic, and political rights that Canadian women enjoy today. Judy LaMarsh was one of these women. LaMarsh served as a member of the Canadian Women’s Army Corps from 1943-1946, obtaining the rank of sergeant. 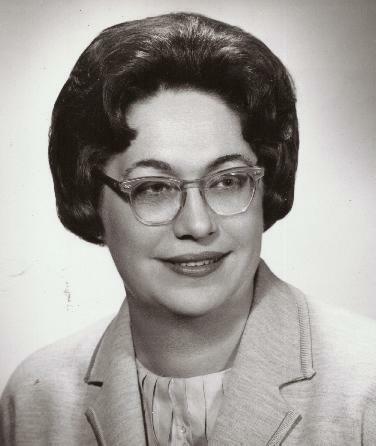 She trained as a lawyer following the war, entering politics in 1960 and winning her first seat in 1963 as a member of Parliament for the riding of Niagara Falls, Ontario. LaMarsh held a number of portfolios under the leadership of Liberal prime minister Lester B. Pearson, her most important being Secretary of State from 1965-68. She was only the second woman in Canadian history to hold a Cabinet post. LaMarsh repeatedly raised the issue with him afterwards, but Pearson remained obdurate. It was not until 1967 that a door opened for LaMarsh to revisit the issue with the prime minister. On 5 January, journalist Barry Craig of the Toronto Globe and Mail published a threat made during an interview by Laura Sabia of the Committee for the Equality of Women in Canada (CEWC). Sabia impulsively told Craig that three million women were prepared to march on Parliament Hill to demand a Royal Commission if the government failed to meet its demands. LaMarsh later recalled that Pearson was “sufficiently frightened” by the prospect and wanted to re-open talks with the CEWC. Three days after Sabia’s threat was published, LaMarsh strategically delivered a public response, via the media, meant to appease the prime minister and members of the Cabinet. She warned the CEWC about its strident tone, cautioning that the “Prime Minister and the Cabinet are men as other men and if you have harpies harping at them you will just get their backs up and they won’t do anything. I think the women have made their point and they should just wait a few weeks and see what happens.” By appearing to offer a more reasoned approach to the issue by publicly castigating the “harpies,” LaMarsh was pandering to male concepts of women and their proper role in society. The tactic worked because it allowed Pearson to appear to be making an informed, rather than a reactive, decision. Some feminists later noted that LaMarsh’s pressure tactics inside the Cabinet were more important in gaining a Royal Commission than Sabia’s threatened march on Parliament Hill. The approach that was the most influential has been a question of debate for decades. The answer is probably that both tactics were successful because on 16 February 1967, a Royal Commission on the Status of Women in Canada was created. Judy LaMarsh, Memoirs of a Bird in a Gilded Cage (Toronto: McClelland and Stewart, 1968), 301. Morris, “‘Determination and Thoroughness’,” 15. Rudy Platiel, “Stop harping about a royal commission, Judy LaMarsh warns women’s group,” The Globe and Mail, 09 January 1967, 13. Cerise Morris, “‘Determination and Thoroughness’: The Movement for a Royal Commission on the Status of Women in Canada,” Atlantis 5:2 (Spring 1980): 16.